I was so thrilled to finally meet one of my favortie authors! 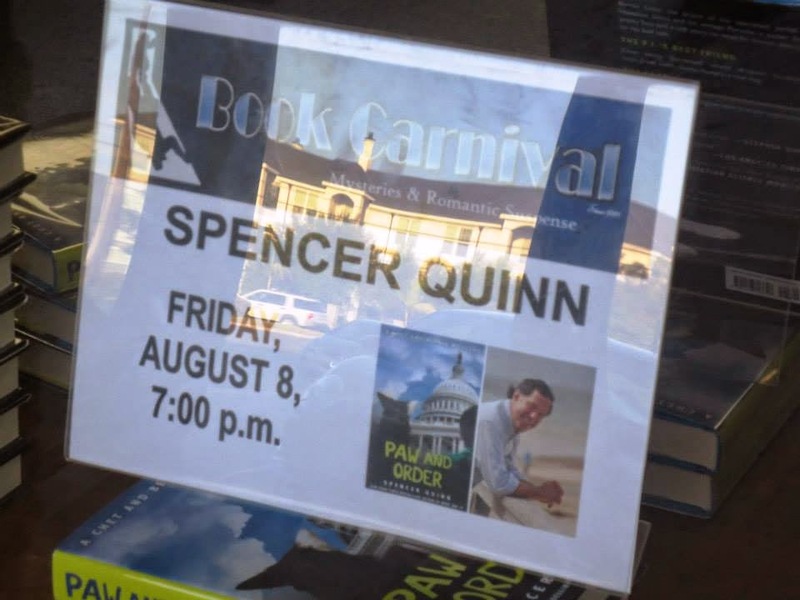 Spencer Quinn had a wonderful book event at The Book Carnival. 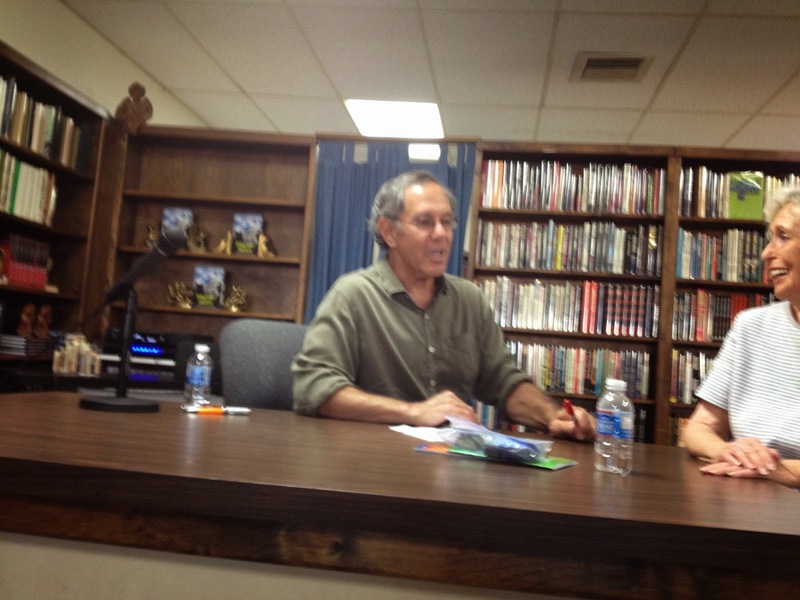 This was one of the best author events I have ever attended. It was hosted by the wonderful owner Anne, so be sure to check them out on Facebook and Twitter. Schatze and I had front row seats. She was a bit perturbed since she thought she should have been the only dog in attendance. There was another dachshund owner there with her service dog. I also didn't let her down to inspect the premises. This was the result of not letting her roam. She wouldn't pose for a picture. I did find out some interesting things about Spencer (not his real name!) and that this series has been very easy for him to write. Here is a bit of video with Schatze agreeing with Spencer's writing material. 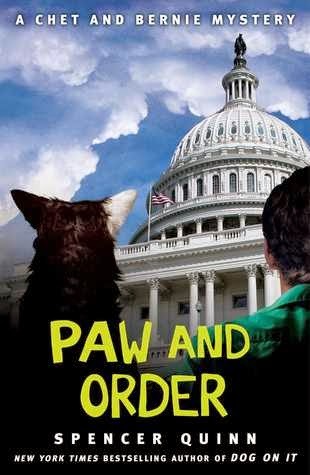 In the seventh book in the brilliant New York Times bestselling mystery series, canine narrator Chet and P.I. Bernie journey to Washington, DC, and the dog-eat-dog world of our nation’s capital. Chet and Bernie pay a visit to Bernie’s girlfriend, Suzie Sanchez, a crack reporter living in far-off Washington, DC. She’s working on a big story she can’t talk about, but when her source, a mysterious Brit with possible intelligence connections, runs into trouble of the worst kind, Bernie suddenly finds himself under arrest. 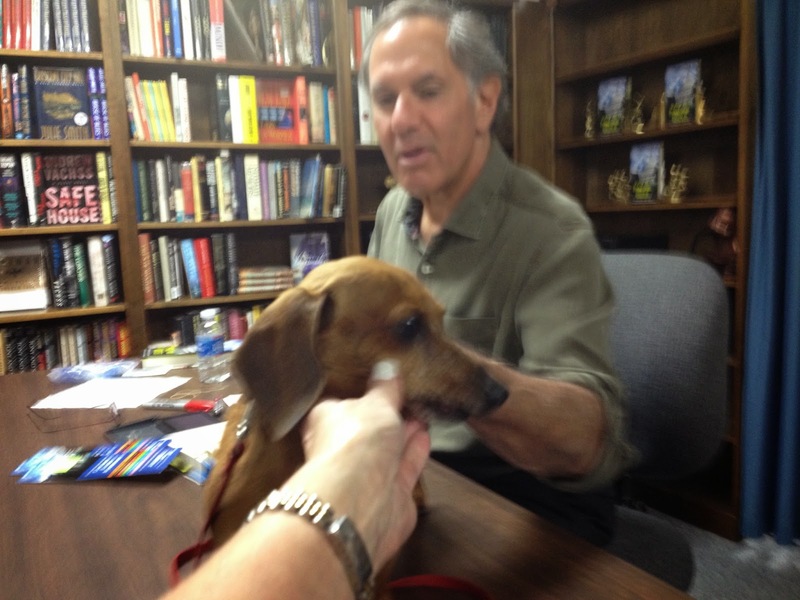 As Harry Truman famously quipped, "If you want a friend in Washington, get a dog"; Too bad he didn't get to meet Chet. Spencer Quinn lives on Cape Cod with his dog Audrey, and is hard at work on the next Chet and Bernie adventure. Chet and Bernie are on another road trip! This time to visit Suzie, Chet's next favorite human, in Washington DC where she has a new job as a reporter for the Washington Post. After Suzie moved, both boys have really missed her. Pulling up to Suzie's house, Bernie, thinks he has run right into her new interest, but when he turns up dead, there is a lot more than meets the eye. Chet's nose (and eyes) are right on the money when it comes to figuring out exactly what happened. Through out the story, there are more little bits of information about the relationship between Chet and Bernie as well, as a bit of romance. There is lots of intrigue, mystery and politically maneuverings as the pair get to the bottom of a secret, possible government conspiracy and of course, the Russians are some how involved. The Chet and Bernie series are always an easy read for me and I look forward to a new one each year. I also like the fact that Chet is now out of his element and experiencing new and exciting smells. I always imagine my dog's stream of consciousness being much like Chet's. 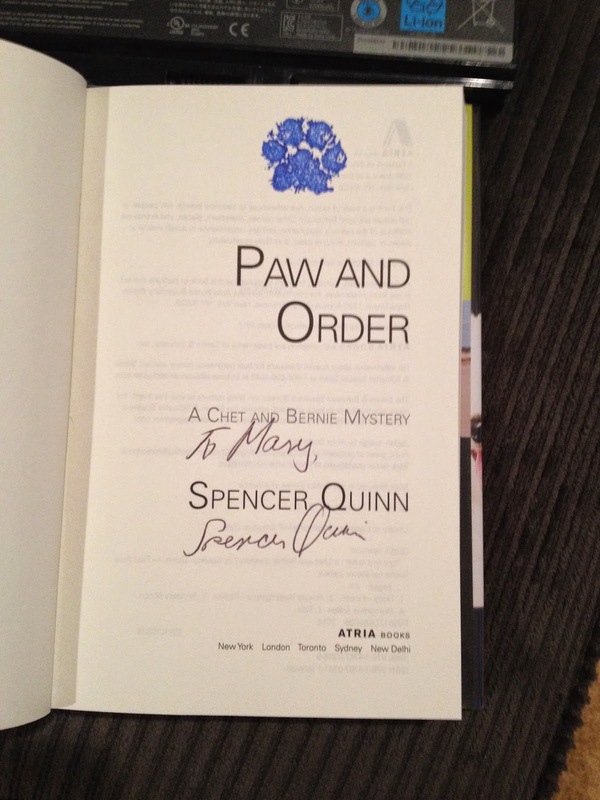 Quinn knows dogs and it really shows in this light hearted series. Even if you aren't a dog lover, you will still appreciate the quality of the writing with just enough grittiness to keep this series from becoming to saccharine. You don't need to read these in order, but there are threads that stay consistent in each of them. Disclosure I received this book from the publisher at no charge and in no way influenced my review. Please note - I did purchase this book but also received an early review copy. If you are considering purchasing this book or anything else from Amazon, please use my link above since I earn a very small percentage of the sale which helps pay for shipping my giveaways! You can also support the blog by clicking on the ads at the top of the page. I LOVE the Chet & Bernie series! I can't wait to read this latest one. Thanks for the review. What a great author event for both you and Schatze!! Thanks for the great review of the new book, need to catch up to this one!